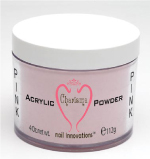 Created to provide stunning enhancements, Charisma Nail Innovations’ Traditional powders combine style and technology while offering long lasting, durable nails that virtually eliminate air bubbles and yellowing. Five charismatic shades that will impress the most discerning client, Pink, White, Soft White, Clear and Natural powders giving you the ideal color palette for success. 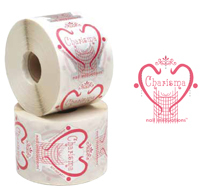 Designed to provide unparalleled adhesion, Charisma Nail Innovations’ monomer provides even the most discerning technician with a new sense of conﬁdence in their application. 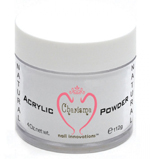 With the minimal use of color additives, Charisma Nail Innovations’ monomer holds the color of the acrylic powder true and resist color fading, color bleeding and marbleizing. 4 oz. liquid, 1 oz. white powder, 1 oz. pink powder, 1 oz. clear powder, 1 oz. natural powder, 5 oz primer, 5 oz dehydrator, 5 oz. cuticle oil,5 oz. UV topcoat, #10 oval brush, 5 gram brush on glue, dappin dish, 100grit white ﬁle, 150grit grey ﬁle, 180grit white ﬁle, 240grit white ﬁle, 180/240grit White thin file, 180/240grit foam buffer, 2-way high shiner, 100 forms, 20 pack white tips, 20 pack clear tips, 20 pack natural tips. 2 oz. liquid, 5 oz. white powder, 5 oz. pink powder, 5 oz. clear powder, 25 oz. primer, 5 oz dehydrator, 5 oz. cuticle oil, 5 oz. UV topcoat, 30 forms. Blended by the innovative design team at Charisma Nail Innovations, four collections of twelve beautiful shades are sure to spark your imagination and add depth and whimsy to your palette of design powders. Blue, Torquoise, Aqua Marine, Black, Green, Pink, Dark Pink, Purple, Brown, Yellow, Orange, Red. Rose, Peach, Sea Foam, Aqua Marine, Light Fuchsia, Orange, Yellow, Blue, Pink, Lavender, Periwinkle, Green. Yellow, Orange, Red, Mauve, Green, Brown, Purple, Magenta, Aqua Marine, Light Blue, Blue, Pink. Blue, Aqua Marine, White, Copper, Mint Green , Purple, Rose, Gold, Green, Pink, Yellow, Orange. Charisma Nail Innovations' Cuticle Oil was designed to enrich the cuticle and rejuvenate the skin around the nail bed. Daily use conditions moisturize dry and brittle cuticles and leave your clients nails clean and fresh. Charisma Nail Innovations' Dehydrator removes the oils from the nail plate and prepares the nail to accept the liquid and powder. Charisma Nail Innovations' UV Top Coat is a super-durable long lasting, high gloss ﬁnishing coat designed to eliminate chipping and yellowing. Used for all acrylic enhancements and acrylic designs, Charisma’s UV Top Coat shields your product from the sun and locks out harmful rays that cause premature yellowing and premature chipping. Charisma Nail Innovations' Quick Dry Top Coat is a super-durable long lasting, high gloss ﬁnishing coat designed to eliminate chipping and yellowing. It's ideal for all types of acrylic enhancements and natural nails. Can be used as top coat over nail polish applications and as protecting layer over the UV topcoat. Specially in summer-period we recommend this application after one coat of UV topcoat. Easy to use brush on glue applies easily to nail tips and bonds in seconds. Great for use on cracks and chips very fast drying formula makes tip application’s quick and simple. 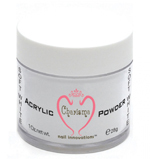 Designed for the client that requires an extra strength application, Charisma Nail Innovations’ primer insures superior adhesion even under the most extreme conditions. 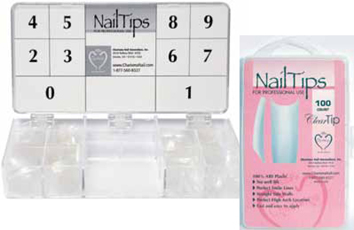 Charisma Nail Innovations' Prep-N-Cleanse is developed according to the latest technology in the nail-industry. Recommend to use this sanitizer before any type of nail application. 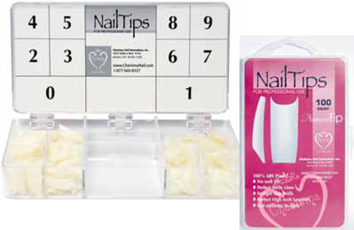 Charisma Nail Innovations' Prep-N-Cleanse contain anti-fungal and anti-bacterial agents. 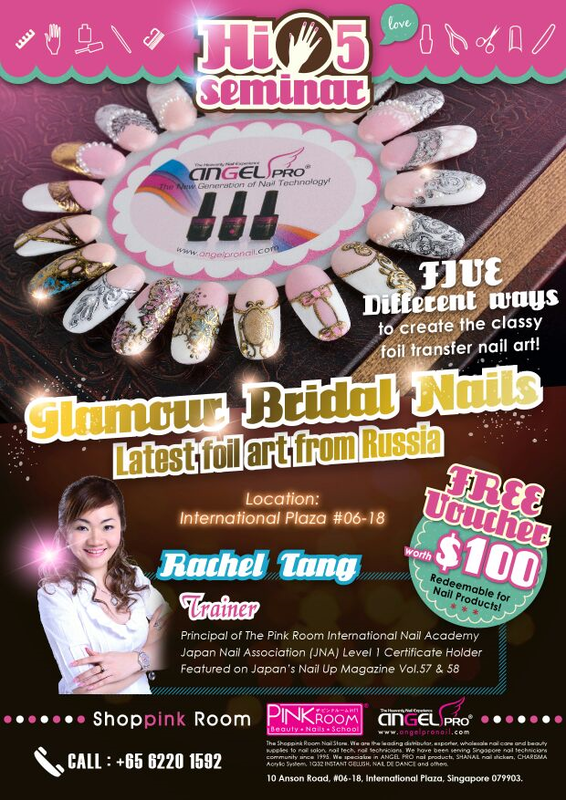 Is used before all Charisma Nail Innovations' Nail applications. Will keep the skin healthy and clean. Charisma Nail Innovations' Primer Pen has the same characteristic as the primer in the bottle, but assures you a safe non-split application. Usage: Apply sparingly. 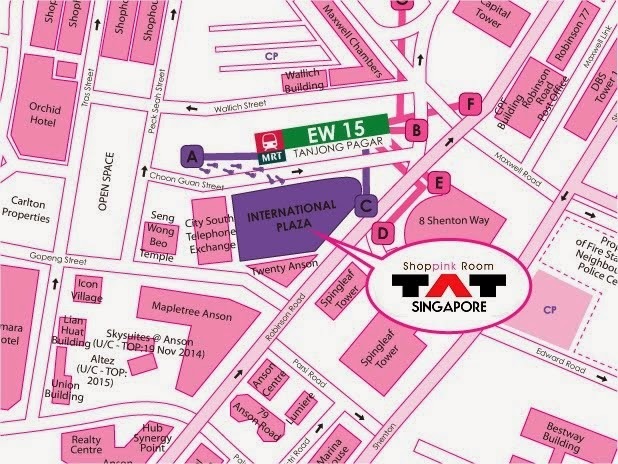 Can be used with any liquid and powder system. Made from the ﬁnest Kolinsky Sable, Charisma Nail Innovations’ nail brushes come in the ideal sizes and shapes for all of your application needs. Brush caps from Charisma Nail Innovations ﬁt on all brushes that we offer. 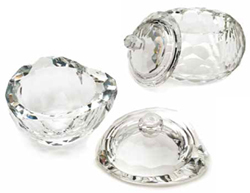 Durable, heavy and attractive, Charisma Nail Innovations’ Crystal Dapping Dish is a great addition to your manicure table top accessories. This gentle, high grade Brush Cleaner melts away traces of residue left in the brushes bristles. Recommended for everyday use Charisma Nail Innovations' Brush Cleaner extends the life of your brush and helps you keep your brush in it's optimal shape and condition. Designed to combine the elegant look of sculpted nails, with the ease of a tip application. Charisma Nail Innovations’ Competition Tips create the perfect shape, smile line and C-Curve every time. Designed by Lysa Comfort, Charisma Nail Innovations’ Sculpting Forms hold the ﬁnger snuggly and provide a solid base to create the ideal nail shape. Constructed from a non-stick Mylar made for easy removal Charisma Forms make it easy to apply the perfect nail the ﬁrst time, every time. New to the American Nail Industry, C-Curve sticks are competition tools used to reﬁne and perfect the c-curve of a sculpted acrylic nail. They come in six different sizes from a tiny pinky to a large thumb. 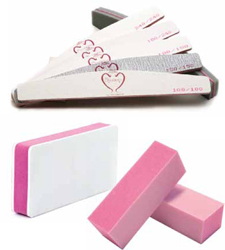 With C-Curve sticks, you can now create competition quality nails in your salon or spa. 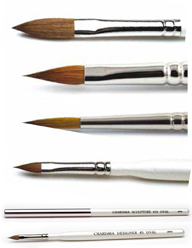 Charisma Nail Innovations’ constructed from the ﬁnest ﬁle paper available and are shaped to provide ease of use. Numerous grits and ﬁle thicknesses make it possible to rid the nail of every imperfection and smooth the nail surface to perfection. Charisma Nail Innovations' Cuticle Pusher is made of excellent quality stainless steel, which will eliminates rust. This implement is sanitizable and soakable. Ergonomically shape to reduce wrist tension. The 9mm spoon end can be used to gently push back the cuticle. The slant end of the pusher is to remove pterygium, without damaging the natural nail. Perfect tool for preparation of the natural nail before manicures or artificial enhancements. 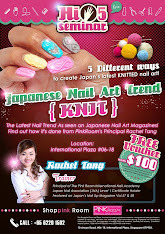 Charisma Nail Innovations' Pinching Tong is made of excellent quality stainless steel, which will eliminates rust. This implement is sanitizable and soakable. This implement is developed to shape the perfect C-Curve with even pressure on both sides of the acrylic or gel application.